On October 11th, 2016, five climate activists shut down every pipeline carrying tar sands crude from Canada to the United States. One of them, Michael Foster, is in the State Penitentiary in Bismark North Dakota. We talk to the other four. They will give the defense of climate necessity that so far no court has allowed them to tell a jury of their peers. You hear Leonard Higgins, Emily Johnston, Ken Ward and Annette Klapstein in exclusive Radio Ecoshock interviews. I’m asking for your support to hire a person who will help me find more radio stations, and more social media, to get these important messages out even further. If listeners can help me raise $5,000 this program can go a lot further. Please go to this page to lend your support. Any amount you can donate will help. Or sign up to give a small amount each month. Together, we can build this thing bigger. World politicians barely pretend to contain the carbon monster that threatens our future. Scientists warns us. Banks and investors continue to finance the deadly game. But what if we just turn off the taps? Enter the valve turners. These are the people who cannot wait for the system to fail on climate change. Their target: tars sands oil, the most carbon-expensive fossil fuel process on the planet. In Alberta mega corporations boil or strip-mine countless square miles of Canadian land and forest. We have no time to discuss their toxic emissions entering the rivers, land, and air. If you could turn that pipeline off, would you? Some do. We are going to talk with them, to hear voices from the front. Find out more at the web site shutitdown.today or here on Facebook. My big thanks to Nicole Bradford of 350Seattle.org for helping me connect with the Valve Turners, and the court room audio/video. Our first Defendant, charged with defending the Earth, is Leonard Higgins. 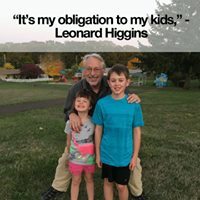 After retiring from his job with the state government of Oregon, Leonard co-founded 350Corvallis.org – in Corvallis, home to Oregon State University. In 2013, Higgins was part of a direct action against the tar sands. After another action on October 11th, 2016, he was found guilty of shutting down the Spectra Energy Express Pipeline in Montana. Sentencing is set for March 20th, 2018. In his interview, Leonard Higgins says that a 2007 workshop “The Work That Reconnects” by Joanna Macy inspired him toward more activism. There is a network from that workshop here. A two DVD set of that workshop sells used anywhere from $100 to $300. Listen to or download this 15 minute interview with Leonard Higgins on Radio Ecoshock. When I think about the coming climate chaos, I call out “where are the artists”. Here they are, in action. Emily Johnston is a poet and essayist based out of Seattle Washington. She published the book “Her Animals” in 2015 from Hummingbird Press. See also this Emily Johnston video on You tube “Withdrawing Consent from Catastrophe”. Watch Emily and Annette shut down a pipeline here. WAS TURNING THESE VALVES DANGEROUS? The media in both the United States and Canada mostly managed to put the word “dangerous” in their headlines. Was this a dangerous action? Emily explains these valves are protected only by one lock on a chain-link fence. They are DESIGNED to be closed in an emergency. They do not require pipeline people to do it. For example, a firefighter might close off the valve during a forest fire. So it has to be safe to turn off the safety valve. To make it even safer, all of the activists initiated calls to the pipeline company involved 15 minutes before the action, to alter them. In fact, most of the pipelines were shut off by the companies remotely just before the valves were turned. These activists worried the pipeline companies might not believe them. So they set up cameras and live streamed each event. The pipeline could just go on the net and see for themselves. In a couple of cases, camera people, and a documentary maker, were also arrested, but later released. Maybe the media headlines should have read the world was a little bit safer, if only for a few hours, as the carbon-laden tarry crude stopped flowing. 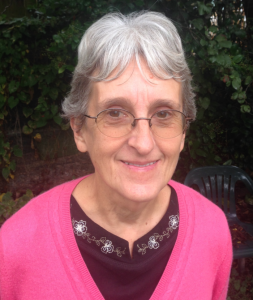 Listen to or download this 13 minute interview with Emily Johnston on Radio Ecoshock. Ken Ward has been an environmental activist for decades. He led the Public Interest Research Group movement both in New Jersey and nationally. He was Deputy Executive Director of Greenpeace USA, and President of the National Environmental Law Center. Now, he is a Valve Turner. A new documentary about Ken Ward will soon be playing at selected film festivals. The film “The Reluctant Radical” produced by Lindsey Grayzel opened in Missoula a couple of weeks ago. Ken worked with Greenpeace at one point. I recall the days when CNN media mogul Ted Turner helped fund the Ruckus Society, who trained people for direct actions. I ask Ken: Is the scene for direct action any better now than it was in the 1990’s? Ken tells us the original inspiration for these action came from activists in Quebec and Canada’s Maritimes. You can see a You tube video of that Quebec action here. In a public meeting, Ken Ward suggested that friends working in environmental organizations are in greater existential pain than he is. That is because they must go to work every day, knowing they are failing, failing to save the climate or the Earth. I’m not sure I agree. For example, without the footwork of groups like 350.org or Greenpeace, we might not even have the Paris Climate agreement (such as it is). The whole process will need a lot of different role, from front line heroes to backroom diggers. I also ask Ken how environmentalists can continue direct actions without falling into the “eco-terrorist” label, and the terrorism laws. In some countries and states, just interrupting the profit flow of a corporation has been deemed “terrorism” – with draconian punishments possible. Meanwhile, governments continue with spies, moles, and sting operations, trying to stop green voices and action from saving us! Meanwhile, Ken Ward tells us that 84 members of Congress wrote to Attorney General Jeff Sessions asking him to prosecute the valve turners under the harsher Federal Laws. So far, that has not happened. 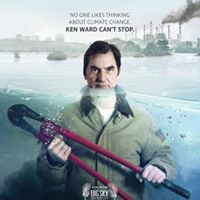 Listen to or download this 13 minute interview with Ken Ward on Radio Ecoshock. Annette Klapstein looks like somebody’s grandmother. A kind grandmother. In fact Annette is part of the Seattle Raging Granny group. She’s a mother of 2, and a retired attorney. But Annette is not to be underestimated. She was an attorney for a Washington State Indian Tribe. Through those connections, Klapstein was a strong supporter of the Standing Rock protest against pipelines through Sioux territory. The Standing Rock protesters called for 4 days of action, and that was part of the inspiration for the Valve Turners to shut down the dirty tar sands crude. In North America, or Europe or Australia, people can decide whether to do a climate action. Annette says that choice is a privilege. Aboriginal people may be killed for protesting, and all over the world extremely poor people are already reeling from the climate damage we’ve caused. But the very poor have to keep scrambling to stay fed and alive. They can’t take a few days, or even a year off, to bring attention to climate change. Listen to or download this 15 minute interview with Annette Klapstein on Radio Ecoshock. At the end of this program, we hear why climate activists must not be silenced about the dire necessity of taking action now. From the law court, I play a recording of the oral argument for the Defense in the Minnesota State Appeals Court in February 2018, by lawyer Tim Phillips, on behalf of valve turners Annette Klapstein and Emily Johnston. Listen to or download this 3 minute clip of Lawyer Tim Phillips making the defense of climate necessity. Put the words “Valve Turners” in the search box at You tube and watch the action happen. Keep up to date with the Valve Turners at their web site shutitdown.today You can help pay those legal bills there too. ← Comet Doom – Past And Future? do u c the irony of not posting this? I really admire activists who put their own life on the line in order to take actions that potentially benefit us all. Well done for trying to stop the pipelines!